[SIGPLUS_EXCEPTION_SOURCE] Image source is expected to be a full URL or a path relative to the image base folder specified in the back-end but /international/france/jonathan_mutch is neither a URL nor a relative path to an existing file or folder. [SIGPLUS_EXCEPTION_SOURCE] Image source is expected to be a full URL or a path relative to the image base folder specified in the back-end but /international/france/eric_vibart is neither a URL nor a relative path to an existing file or folder. [SIGPLUS_EXCEPTION_SOURCE] Image source is expected to be a full URL or a path relative to the image base folder specified in the back-end but /international/france/mich_louis is neither a URL nor a relative path to an existing file or folder. Eric Vibart tells me the Mirror dinghy is not that unknown in France. She was briefly imported in the middle of the seventies. 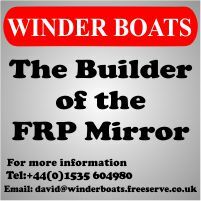 Some "building classes" for groups have even been organized in some clubs, but the Mirror was in direct opposition with some other, well established, popular, French dinghies like the Vaurien (plywood), Zef (GRP) and others. The fact is that amateur construction has never been developed in France on the same scale than in Great Britain. 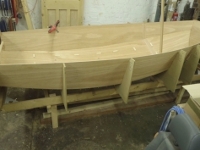 And that probably the Mirror did not matched the french tradition about small dinghies. One French Mirror is number 18825 'Les Oiseax' owned by Jonathan Mutch (it's using sails from anothe boat in the photos) who sails from Hyères, opposite Porquerolle Island. 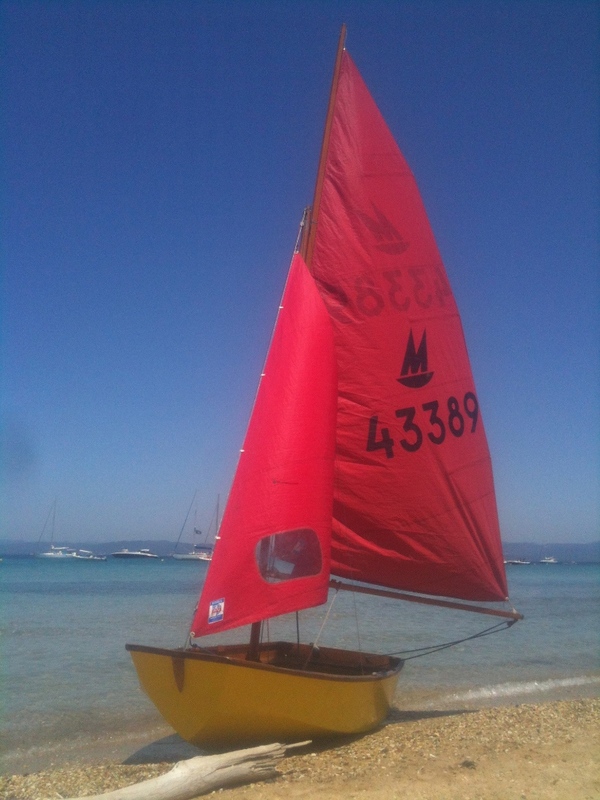 The boat was purchased from Starcross Sailing Club near Exeter. She is much admired and often photographed. Jonathan is happy to advise anyone else who wants to 'import' a Mirror to France. With his "Black Pearl Junior", Charles (then 12 years old) and his father participated the 2009 edition of the "Semaine du Golfe" in Golfe du Morbihan, Brittany. We were one of two french Mirror Dinghies in that nautical festival. The boat usually sails on the Lac d'Enghien, north of Paris. If any other Mirror sailors in France want to be added to this page, just let Martin Egan know.